This is the first picture of a tiger that was on the loose on a motorway, before police shot the animal dead. 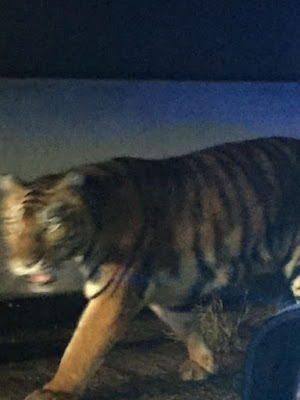 The escaped tiger was spotted by drivers early this morning near a busy intersection in Henry County, Georgia, USA. Police have now confirmed they shot the animal after it ran towards the back of a property and started to attack a dog. 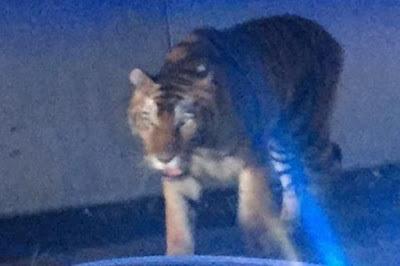 With the tiger close to a school bus route and in a densely populated area, officers feared it could danger the residents of the home as well as others in the area. They said they decided to "put it down with gunfire". 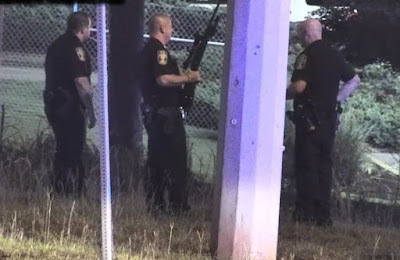 The beast had been tracked by police after animal control were called to the scene near I-75 North after it was last seen near Jodeco Road.